What are the common causes of motorcycle accidents in Columbia, Maryland? There are many motorcycle accidents happening in Maryland each year, and most often they have dreadful consequences. Studies show that 1 in 4 motorcycle accidents happen as a single vehicle accident due to the collision with the road or obstacles on the road. The rest are caused by collisions with other motor vehicles. In this article, you will learn which are the most common causes of motorcycle accidents in Columbia, Maryland, and what you should pay attention to when riding a bike. To help you with your motorcycle injury claim, it is best to get the help of a personal injury lawyer from Columbia, Maryland. The most common causes of motorcycle crashes are caused by head-on collisions with cars. This accounts for 56% of all motorcycle fatalities and it causes most motorcycle traumatic brain injuries. This happens when the motorcycle is hit from the front. The injuries suffered in motorcycle-car accidents are extremely dangerous and can take a very long time to recover from. Your Columbia injury lawyer can help you with your motorcycle injury claim and get you the compensation needed for your recovery. This type of accident happens when a motorcycle is going straight through an intersection in an attempt to pass a car or surpass it. Because of the motorcycle’s small size, it makes it harder for the vehicle driver to notice it when turning and as a result, the car will cut the way of the motorcycle. In most situations, the driver is liable and your Columbia injury attorney can make them pay compensation. But if the motorcyclist was in the wrong lane or driving over the speed limit, the claim will be weakened. Your personal injury attorney from Columbia, Maryland can help you with your case and will do everything in their power to get you the compensation you deserve. 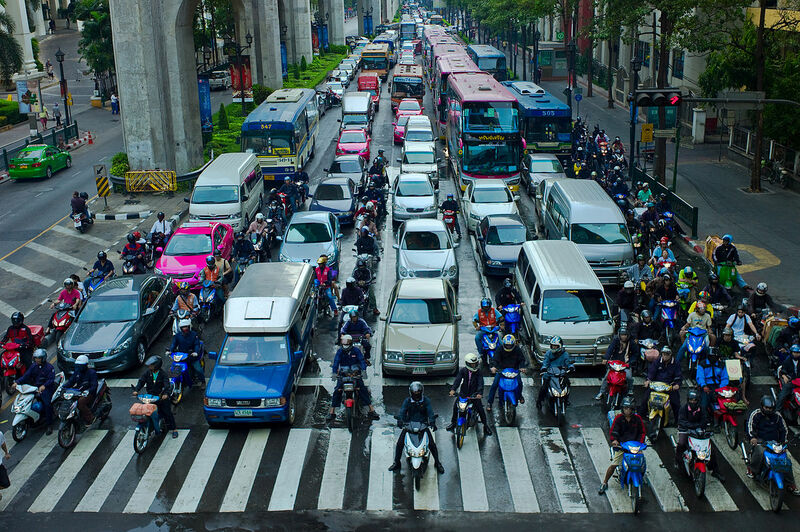 Many motorcyclists get injured each year because of line splitting, especially when there is a traffic jam. Because motorcyclists want to avoid all this they start driving between the stationed cars. And even though lane splitting is permitted in some states, in Maryland it is illegal. If a motorcyclist crashes while lane splitting, they will be considered at fault and no Columbia injury lawyer will be able to change this. Other causes of motorcycle injuries are the collisions with road hazards, fixed objects, but also alcohol use, weather conditions, and speeding. If you were involved in a motorcycle accident, you should get the help of a personal injury attorney from Columbia, Maryland. Traumatic brain injuries that result from this type of accidents are severe and extremely hard to treat. Just consider the bills and the recovery period which may cost a fortune, not to mention the lost income or being unable to work. In some cases, this type of injury may leave a person incapacitated to ever work again. That is why you should consider your future and get the legal help you need. Contact the best personal injury lawyer in Columbia, Maryland at (443) 569-3950 or write an email at [email protected].